This post was sponsored, however all opinions are my own. As a work-from-home, homeschooling mom, it's important that I find educational toys that my kids can learn from, but also keep them entertained for some time. The new Fisher Price Roctopus from Walmart does just that! The Fisher Price Rocktopus helps kids explore a variety of musical styles while learning about different instruments, rhythmic patterns and more! I don't know about you, but I have some musical geniuses in my home. Dad plays the guitar and records his own music, so keeping my kids entertained with their own musical instruments is important to them. The Rocktopus is super beneficial to children and has three different playmodes: math, music, and games. With fifteen different instrument sounds - trumpet, drum, clarinet, piano and violin to name a few - Rocktopus helps kids discover different sounds, explore fun musical facts, and let them compose their own tunes. This Think & Learn Rocktopus makes the ultimate toy for entertaining and would make the perfect gift this holiday season. I am all for purchasing gifts that kids will love for years to come, versus ten minutes and then they're done. 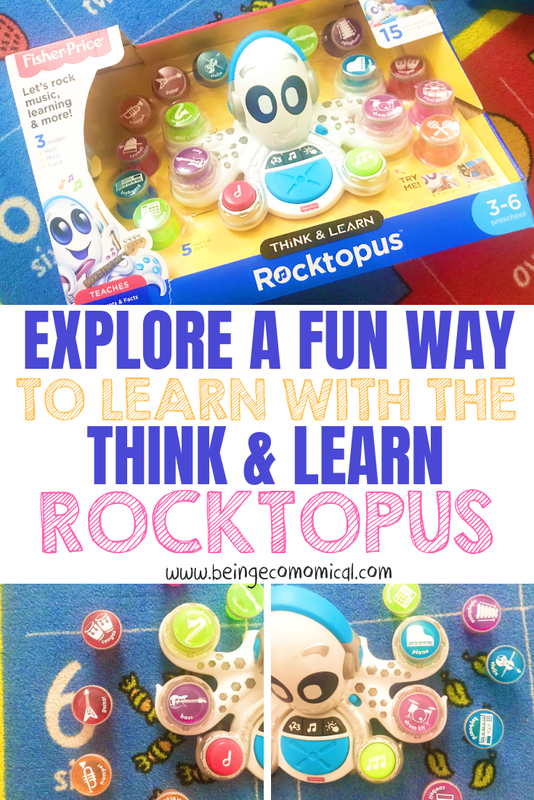 With the Think & Learn Rocktopus, your kids are guaranteed hours of fun. My kids loved the fact that each instrument lights up and they can play with it in the dark and dance the night away! It's the perfect group activity and a great way to introduce sharing and getting kids used to teamwork. Get yours now at your local Walmart.